TPM workshops are for EVERYONE! Using a variety of TPM themes our workshops will guide you through some knowledge foundations, allow you to move and feel, implement TPM principles and feel the difference. Every workshop will give you take-away gems that will improve not only your practice but your teachings and understanding of the 'how' and the 'why'. Threes Physiyoga teachers have a deep understanding of the 'why' of the body, mind and breath. They can use the knowledge to assess students and identify suboptimal and dysfunctional patterns. Students look to yoga teachers for help with injuries whether from yoga or other areas of their lives. There is a relationship and understanding that their teacher truly cares for their wellbeing and safety in class. A Threes Physiyoga certified teacher will be highly versed in movement assessment and have a strong sense of the musculoskeletal and physiological causes and implications of suboptimal and dysfunctional movement. Yoga is a multi-limbed practice that unites movement with breath. Having an understanding of the influence and benefits of this practice on the body is a powerful, efficient tool for physiotherapists. Physiotherapists will be introduced to the Threes Physiyoga Method of assessing suboptimal and dysfunctional movement. They will understand the mechanics of breath, the neurological considerations of re-training the musculoskeletal system, and how the deep integration of fascia and connective tissue impacts the body. 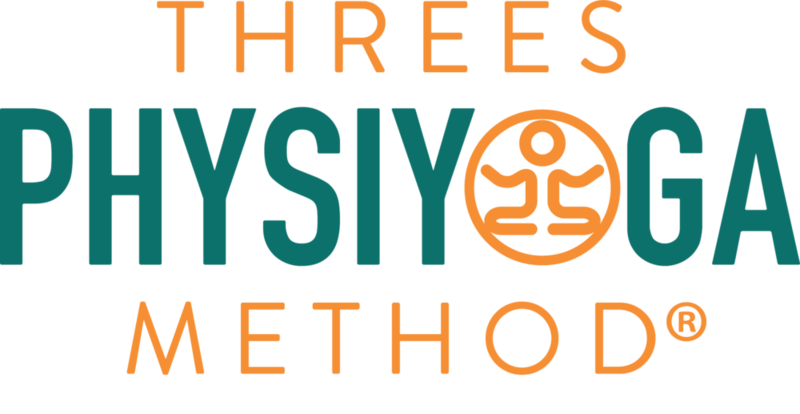 Threes Physiyoga method partners with several exceptional teachers and studios to provide the anatomy component of the basic level 200hr teacher training. Dependent on the style of the teacher training the anatomy, physiology and movement education makes up between 10-20 hours of the course. Threes Physiyoga fundamentals are introduced, including the foundations of alignment, moving in an optimal way and understanding of how teaching yoga asana correctly can help reduce any risk of injury.